Now, I know most of you have seen pictures of me, but before you think it, before you say it...I do realize that I am not overweight. My husband and I are attempting this new healthy lifestyle to, of course, shed a few extra pounds, but also to just be healthy overall. Friends and family will say, "You're so skinny! You don't need to lose weight." Yes, I realize by average weight standards I don't really need to lose weight, but I'm not talking like 20 and 30 pounds here. Maybe just 5 to 10 pounds. You haven't seen me in my birthday suit...it's called sucking in, haha, I could stand to lose about 5 pounds, trust me. 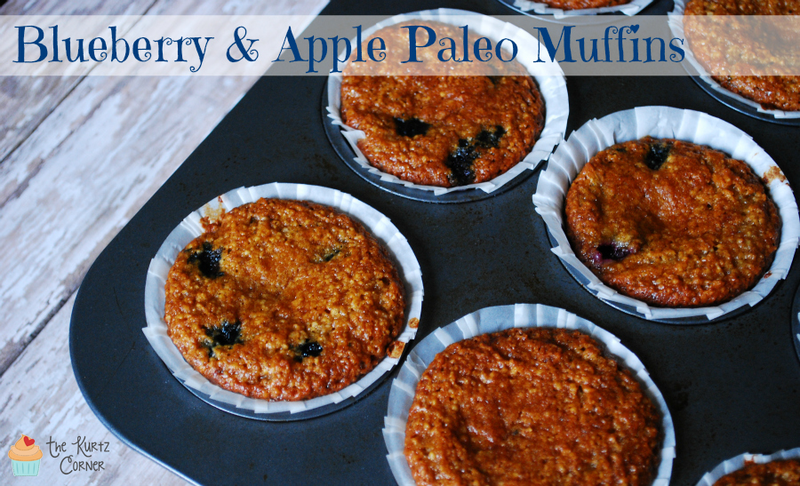 So, after scouring the web for Paleo recipes, I decided to start simple. 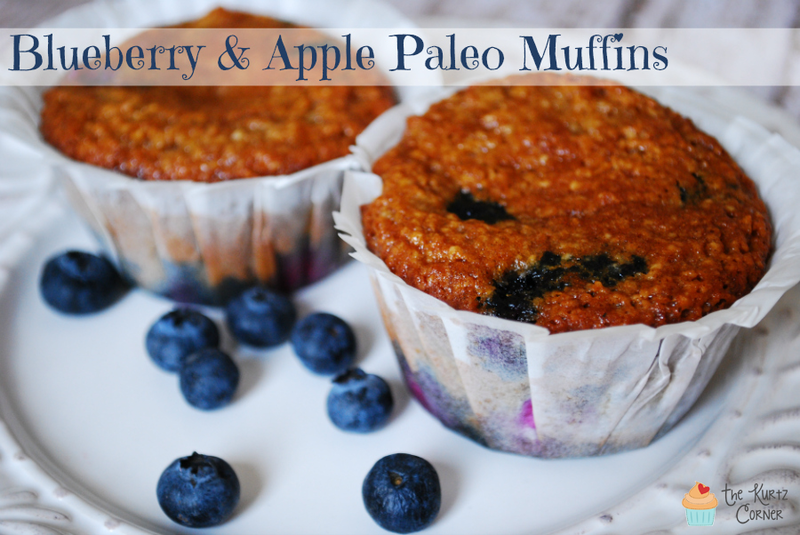 Blueberry Apple Paleo Muffins, not too scary, right? I'm no expert on this healthy living lifestyle just yet, so for my first recipe I am following a recipe from Amazing!Paleo with a few modifications. 2. Line muffin tin with cupcake liners and lightly spray with coconut oil spray. 3. In a large bowl, combine all dry ingredients (do not add blueberries). 4. In a separate bowl, combine all wet ingredient (do not add blueberries). 5. Mix dry and wet ingredients with a hand mixer until well combined. 6. Gently fold in blueberries so that they remind whole. 7. Fill each cupcake liner about 3/4 full. 9. Remove muffins from the tin and place on a cooling rack. You may not know this, but I fail quite often when I bake. Like fail, big time. You wouldn't guess it from all of the nummy recipes I have here on the blog...duh, why would I post bad recipes!? I think all great bakers fail on a regular basis, if you don't, you're either playing it too safe or you're a baking goddess, good for you! So, with that said, I was pretty skeptical about these muffins. No milk, no butter, no sugar, no oil...nada. Boy was I wrong! These little guys were sooo delicious! I will definitely be trying them in many more variations on a frequent basis. Enjoy! Can you use unsweetened applesauce instead of the Gerber food? 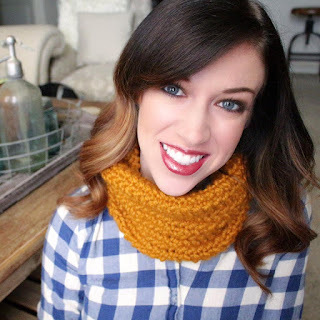 Our HGTV Episode - Watch it here!